Yogurt is easily available. Its affordable. I mean really why would someone want to create it from scratch when its just a few steps away. After eating Indian yogurt you of course know what real yogurt SHOULD taste like. Though the store bought sweet kind of yogurt is no comparison to the REAL thing, it wasn't really bad. In fact don't people add sugar to tart yogurts anyway? Yes yogurt is easily available and may not be very expensive. But have you ever checked the ingredients list of your cheap tub of yogurt? You should, chances are it reads "stabilizers, emulsifiers...."And all the weird wacko names. You know where they come from ?Well I know, it comes from a chemical lab. If your ingredients list reads just yogurt chances are the first point won't be true at all. It won't be cheap.It would be good for you but not cheap. No it doesn't taste alright. It tastes like chemicals once you read the list. Real yogurt tastes tart. Thats what yogurt are supposed to be. If you don't like tart, you add sugar, but you control what you add not the mad scientist behind the chemical lab. Its true. I try to dump my opinion about food on everyone I know. I get carried away when I talk about food. I just can't stop. And I'll also push you to the edge till I know you know what I mean. I also break down every meal I ever had with anyone by guessing the ingredients and what went inside it. And I'll bug our companion by talking about food related techniques. Really I know I 'm completely slightly over the top when it comes to food. I don't know when this started happening with me but its been a while. Don't ask me to change. But today honestly honestly its more about forcing convincing you to make yogurt at home then the recipe. There are tons of recipes for making yogurt and its all basic. In fact I hardly measured my milk or yogurt and each time it was spot on. Making yogurt is very forgiving if you just know the basics. My mom would just pasteurize fresh milk and let it cool. And add a few tbsp of yogurt and let it sit on counter top overnight. Next morning the milk is all curdle and set. And then it went in the fridge. That was her. Get a non reactive large deep bottom pan. Don't use aluminum. Steel works and earthen pot works wonderful as well. Lets heat the milk. Its a good idea to keep whisking it so that it doesn't burn at the bottom.People suggest thermometers. I tell you want you don't need it. Just stand near the pot and wait it the milk scalds. Scalding means the point where the milk starts bubbling at the edges of the pot but not boiling. Switch off the gas when you get that. Let this sit and become warm.Because the bio live cultures like it cozy not hot. Warm enough that you can dip your finger for a while ( about 10 seconds) . Mix a 1/4 cup yogurt starter with the milk and add a squeeze of lemon if you want it tarter. Like I said the bio live cultures like it cozy. If your counter top is already hot you can skip this step. But most of us probably will have to create an artificially created warm place for the yogurt to set. Namely an oven.Warm your oven for 5-10 minutes at the lowest temperature your oven allows. You want a WARM place, you should be able to put your hand inside the oven without feeling like you will burn. Place the pot in the oven. Let those creatures do there work in peace. Leave them to themselves for anywhere between 10-16 hours . Mine took 15 hours to set. You should check your yogurt after 10 hours. You know your yogurt is ready when its set, just a little giggly but set. Now below are two pictures.One is when I made yogurt in earthen pot (true love) and second when I made in a steel pot. 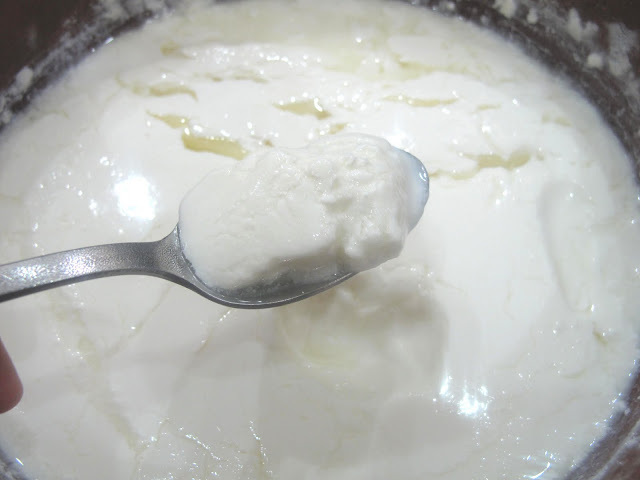 I would have probably gone on to make it with earthen pot again but the earthen pot was busy holding the yogurt I made before ( ask me what the hell I was doing with making all this yogurt). 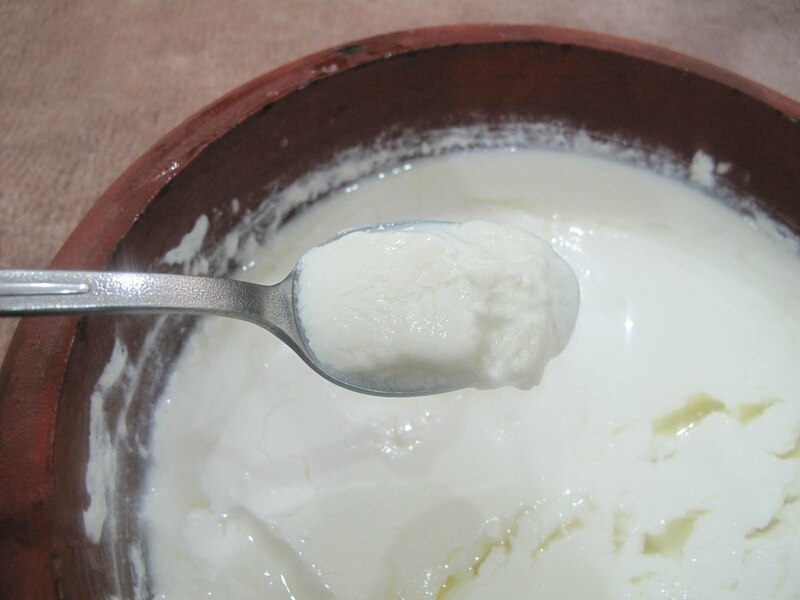 In the earthen pot, while the milk scalded I had stood there removing all the frothy things that form on the top, which as you see led to a beautifully silky yogurt from top to bottom. In the latest case, I didn't bother doing that, and what happens is you have an uneven looking top which is totally fine by me because beneath its the same silky stuff. Its ready for use. But putting it in the fridge helps to set better. And besides I think having plain yogurt at room temperature is a sin. On the other hand, chilled yogurt is your friend. In the fridge for 8 hours. 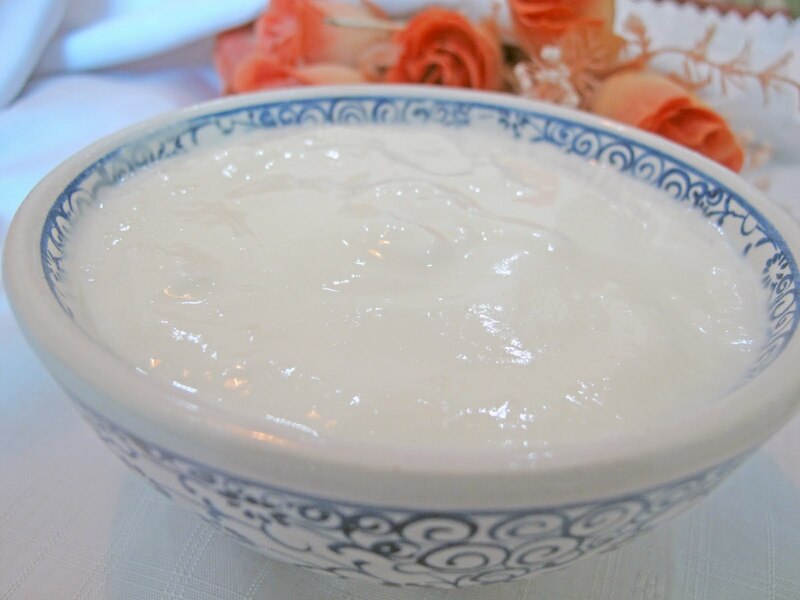 Yogurt will taste and set very much like the starter yogurt you used. So use what you like best. I like a well set yet silky yogurt. Now, the main question. What do you do what all that yogurt? My favorite, favorite way is to have spoonfuls of tart yogurt right from the bowl. But the most addictive way of having it is a bowlful of Yogurt with Orange Marmalade, walnuts and Pomegranate and you know your mornings are blessed. Or plan a big deal Indian meal and dress it up with colorful and refreshing Beetroot Raita. Or use it on the side of any meal with little of black salt, a pinch of cardomom, black pepper and mint for washing down all that spice. And then the dessert. Whats a meal without dessert? If you are a yogurt fan (or not) this dessert is sure to woe and make you fall in love with yogurt all over again. 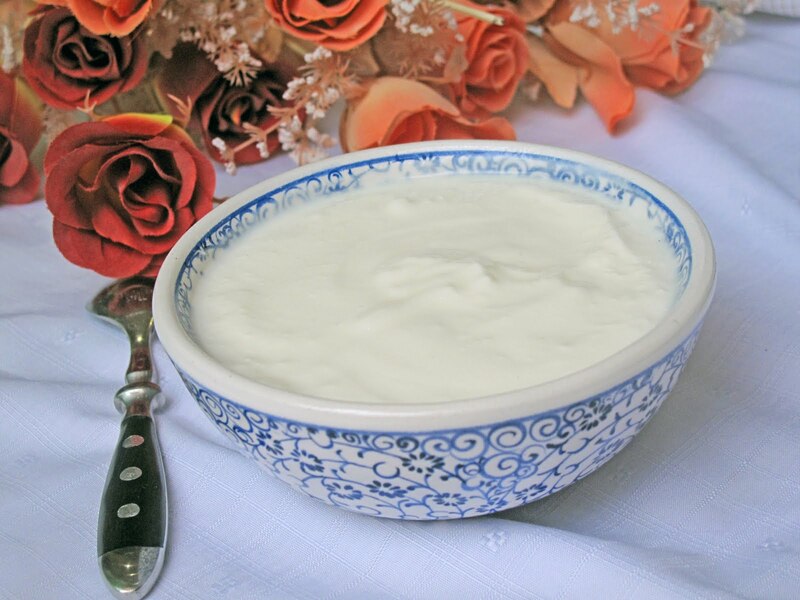 Shrikhand is an Indian yogurt based dessert that's luscious, creamy and yet refreshing. Its also royal, with saffron and pistachio working up there. From dressings, cheese, salads, dips, cakes and drinks, the possibilities are endless. Its no news that you will be seeing a lot more of yogurt coming your way this month. I'm one of those people who always envy people who use homemade yogurt. I've tried it many times asking step by step recipe from my mom who by the way is an expert in making anything homemade :-) but it just never comes out perfect. So what the heck, I use store bought even when I don't know anyone who's a bigger fan of yogurt that me. Your description is very elaborate with nice tips. Will definitely give it a try. Awesome post Kulsum! You Know what I really miss homemade yogurt in Vegas.And you knw why....not because I don't know how to make it but because I cant make me in Vegas. 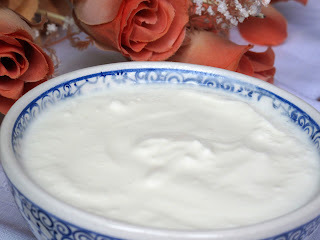 You would agree that key to a good yogurt setting is not only temperature but moisture in the air too.We mortals who live in Vegas where the average rainfall is 3 mm a year and normal humidity is 5-6 % can only dream of making such yummy yogurt as yours and are really J of those who can make it at home! ...just kidding! Thanks for this tutorial-- I LOVE yogurt and its endless applications! Thank you! I can never judge you for buying store bought yogurt because thats what I did before. But once you make homemade yogurt and get it right I'm sure you will not go back to store bought. 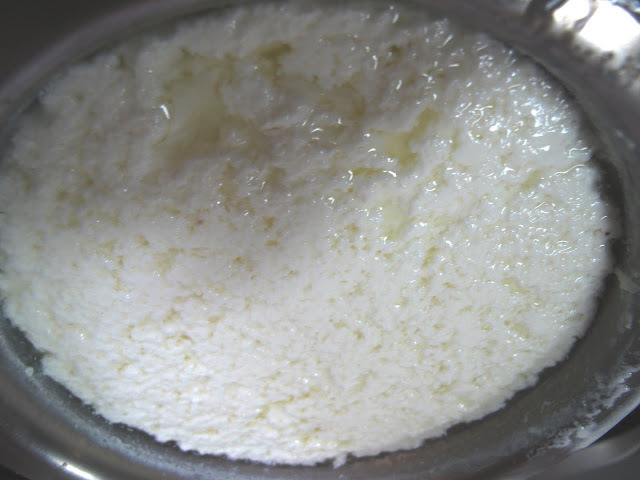 I must admit, I have not spend so much time researching on any comment made on my blog so far.I didn't (don't) know how moisture in air affects yogurt making. And I tried and tried to search about it but would not get any information about it. I will be so happy if you share more information on how the moisture affects and what is the ideal moisture level ? Thank you so much for the comment. Thank you. Yogurt with orange marmalade and walnuts is a must try. Do let me know if you try it. Thank you dear. I'm so glad that you like it. I think that homemade is almost always better than store-bought. And if you the same quality of ingredients, usually cheaper too. I've been wanting to make my own yogurt...thanks for the recipe. I m really sorry to disturb u so much with that comment! Infact I also rearched the internet when my yogurt didnt set atleast 5-6 times even after accurate temperature measurements n stuff! Its better to live with it! Love that you made yogurt at home. I've been doing it for years, and it is really the easist and best! Oh my! I'm loving your blog... so inspiring.. I love making my own yogurt and then flavoring it with my favorite juices! Yumo! This is a great step by step, detailed recipe. Certainly one I'll be printing and keeping in a file in my kitchen. Thanks for sharing your learnings with us! I was wary of making yogurt at home owing to the cold temps here for most of the year. But I must try making it your way. Yogurt came out so well, thanks for your detailed method, will try it soon.. I came here via our twitter conversation with Soma and Prerna. It is so exciting to meet a person with similar interest towards food and cooking. Looking forward to stay in touch with you. btw. 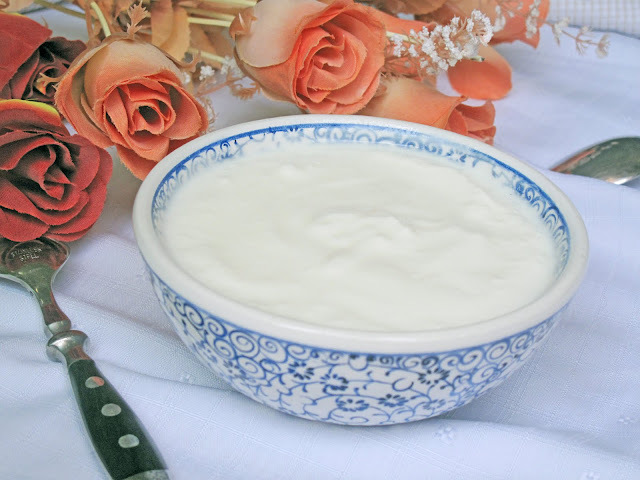 I love homemade yogurt. My attempt to make yogurt at home was a total failure. Have to try with culture. First time here. I found your blog via Nadia's blog (for the love of yum). 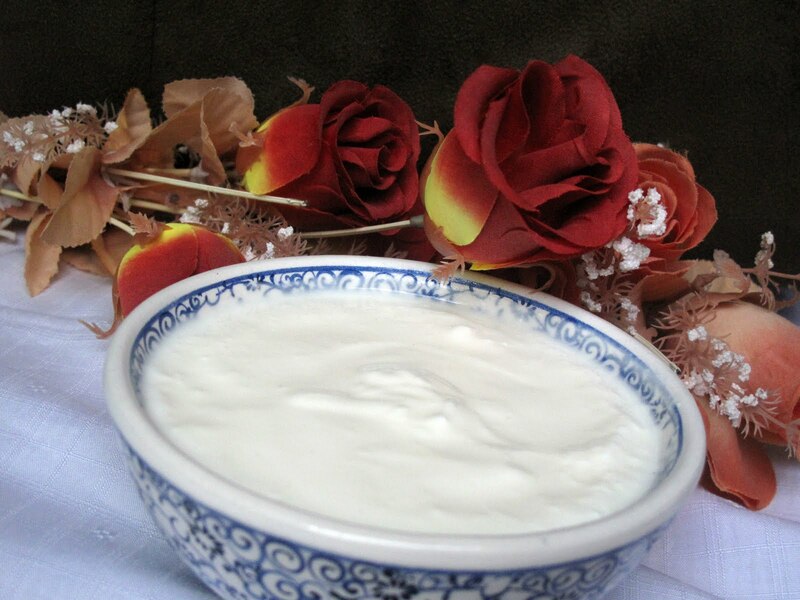 I love homemade yogurt and I like to marinade chicken in it, as well as eat it plain, or with a little homemade jam. Yum! Make that yogurt cake. Don't let my opinion stop you from trying. :) I am not fond of yogurt cakes, but if you are, that one is the one to try. It's very fluffy and light. That aside, great tutorial here. Your photos teach us so much! That seems like a pot of good yogurt. wow!! thats so cool! i should try that!! i love eating yogurt with olive oil and lettuce and some salt! I like the language you have used...the only word is CREATIVE (in caps :-) ) and the post is informative as well. A big THANKS. I enjoyed reading it. I will visit again.